Launching a game on multiple platforms simultaneously can be hazardous for independent developers. Indies are becoming more mainstream. 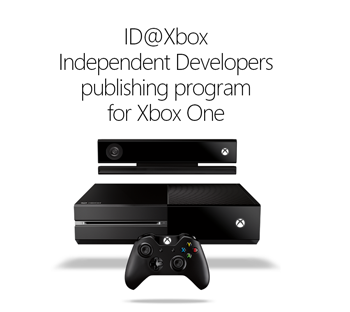 To offer more diverse games, Microsoft reached out to independent developers with its [email protected] initiative, an Xbox One publishing program. However, one clause of the [email protected] contract stipulates that a game being published through the program should launch on Xbox One the same day as all other platforms. Independent developer Vlambeer, known for games such as Ridiculous Fishing and Super Crate Box, has decided to push against this clause and release games to platforms at its own pace. When Microsoft first discussed bringing Vlambeer's next game Nuclear Throne to Xbox One, the developer had heard mentions of a launch parity clause, Vlambeer co-founder Rami Ismail told Joystiq. Games already signed to another platform are an exception to the clause. "Before we signed with Microsoft, we emailed Sony that we quickly wanted to sign Nuclear Throne with them with a month of exclusivity," Ismail said. This follows the news of Microsoft's first [email protected] developers. Ismail still appreciates Microsoft's intentions to reach out to independent developers thanks to the program's director Chris Charla, who Ismail says is a person who "genuinely cares about games" and welcomes criticism. "We'd rather Microsoft allow us not only the freedom to self-publish, but also to publish in whatever order we prefer," Ismail said. "We'll keep pushing for Microsoft to drop the clause, and we'd recommend any other developer to do the same."